There’s something we don’t talk about often as moms, but it needs to be said. It needs to be added to the plethora of friendly advice we give out to new moms and it needs to be understood in its context, but here is what I know to be true: Being a mom can be really lonely. It seems like an oxymoron to even put the words mom and loneliness in a sentence together. As a mom, you willingly give up all personal space, three-quarters of your bed and two hundred percent of your heart. You’re never alone, even if you’re at work or otherwise occupied. You carry the mantle of mom wherever you go (and wouldn’t have it any other way). All that neediness is a good thing. It’s good to be wanted and needed and loved by these tiny souls that live under our roofs and rely on us for everything. Their needs drive us to be responsible, to pay attention to how we act, what we say, and to consider someone else’s well-being above our own – maybe for the first time ever. It’s truly astonishing how motherhood grows us, stretches us and turns our wants and needs into a lesser priority; it’s a paradigm shift that seems to catapult us into another world entirely once our first baby arrives. It’s a world we didn’t know existed, but one we were seemingly created for. And if we let it, this new way of thinking and doing life will turn us into a better, revised edition of ourselves. Selflessness can do that to a person. But, let’s be honest about one thing. Despite embracing this new role, despite the joy-filled rearrangement of our lives and even despite our deep, truthful desire to be all things to our children (and perhaps because of all these things), taking on this mantle of motherhood also means facing an exhausting, lonely season in our lives. Because even though we have good intentions to get together with friends, to get out of the house and practice that “self-care” thing everyone talks about, it doesn’t really happen very often when you have small children at home. Between you and your friends and your friends’ kids, someone always has a cold, a doctor’s appointment, or a necessary trip to the grocery store. And let’s face it, just getting out of the house requires a carefully crafted, wedding-planning-level of orchestration that just isn’t worth it, most days. This is all assuming that your close friends are still nearby during your mothering years, that they haven’t moved across the country for their husbands’ job transfers or wherever the flow of life might take them. It seems to be exponentially harder to make new friends after you become a mom. It’s possible, of course, it just takes a lot of effort, and effort for anything extra can be hard to summon in this weary stage of life. A lot of days, even though you long for meaningful conversation with someone over three feet tall, it’s just easier to stick to the routine. And so that’s what you do. Now, please don’t misread this whole thing as a plea from a desperate wife. I’m not saying that husbands don’t count as a source of companionship and understanding. I live for those late-night conversations when all the kids are in bed and we have a few moments to debrief the events of the day. That’s so important and I don’t discount it at all. But from my observation, dads seem to naturally preserve more of their pre-kid autonomy than we do. Especially if they’re the full-time working parent (and you’re not), they simply have more opportunity to make connections with others during the day. But during this season of nurturing, of providing and pouring ourselves into our little ones, it’s easy to get caught up in all that we’re missing outside of these four walls. Like that time when you had dinner plans with a friend you hadn’t seen in ages but had to cancel because one of your kids is running a fever. Or that entire year spent in the back of the church nursery, nursing the baby instead of getting to listen to the sermon. Or that embarrassing instance where you missed seeing your cousin walk down the aisle because your toddler chose that exact moment to throw a colossal fit. 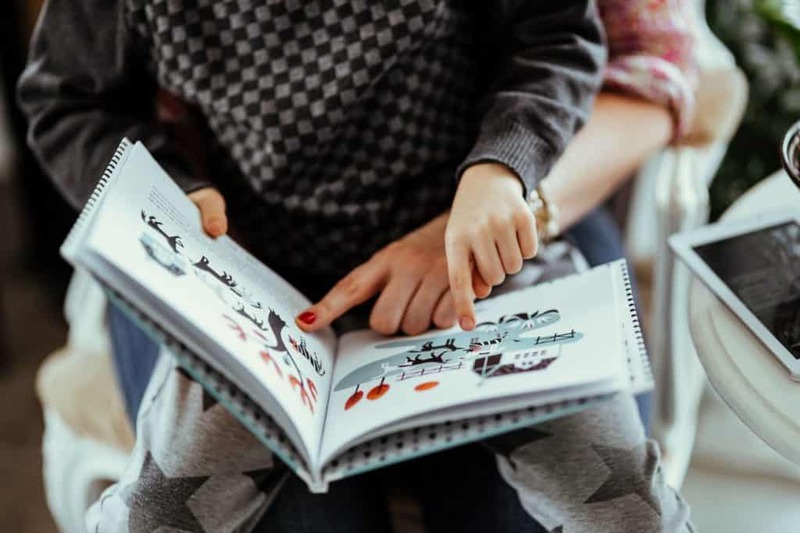 These are the lonely years, the years that seem like they might stretch on forever, the years where our identity is so entwined with the task of raising kids that we feel like who we were before “mom” might never have really existed. At times when I start to feel this way, I have to remind myself that this mantle of motherhood is exactly what it was designed to be: both a cloak that surrounds us and also a distinguished title reserved for us in this season of life. What it isn’t meant to be is an all-encompassing blanket of burden. In reality, we can’t expect other people, big or small, to meet all of our emotional needs. Only God can do that. If we do feel lonely, we can be assured that He will use those times to highlight His nearness. I’ve been told that these are the years we’ll look back on and wish they never really ended. 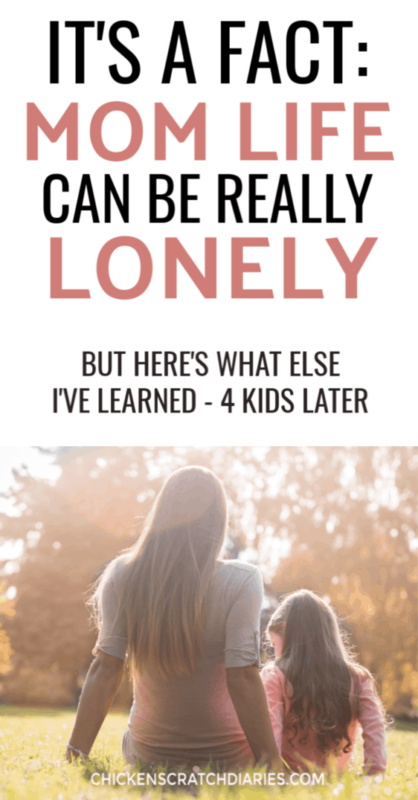 Because the real lonely days are ahead, when our kids will grow up and no longer need us (as much) and our hours, days and months will have to find a new and redefined purpose. So right now, I’m choosing to slow down. I’m choosing to be more intentional in learning to appreciate the beauty of this appointed time, this season of being needed, of being exhausted to the core, and of sometimes even feeling alone in a house full of people. Because even in the difficult moments, I believe those moms who have traveled this path ahead of me, and I have a feeling their words will ring true. And I don’t want to hasten the day that’s coming — when this mantle is no longer mine to wear. Excellent post! So, so true and very encouraging! Thank you for this! 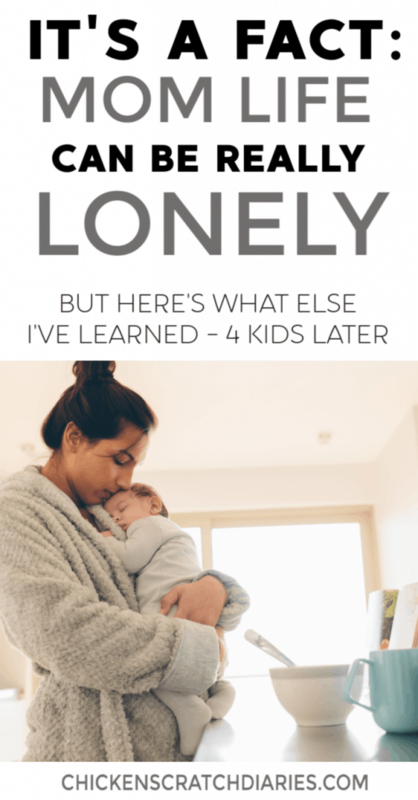 Great post and so true…mothering can be lonely in these little years. This was very encouraging!